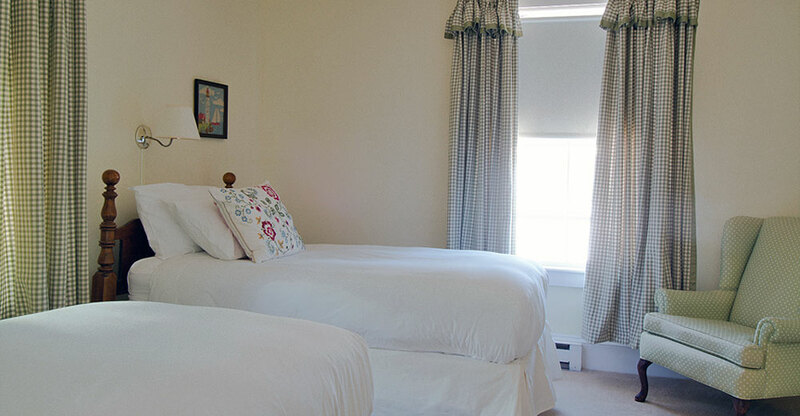 This charming room with antique cannonball twin beds has a fresh, country ambiance enhanced by starched gingham curtains. 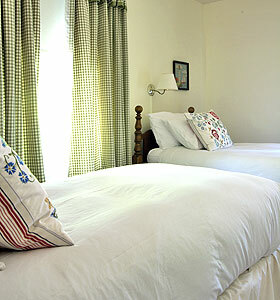 The beds are made up with Italian linens and the softest of duvets. The bathroom has a stall shower. The view is of the historic Main Street.